Conifers are often the first plants that comes to mind when people think about hedge plants. That in itself is a testament to the status that conifers have as excellent plants for hedging purposes. Most coniferous hedging plants are not native to the UK, but that does not make them any less suitable for British hedges. Quite the contrary. Conifer hedges are among the most common hedges in Europe. Many varieties, such as fir and pine trees, have sharp, needle-shaped leaves, but these are not commonly used as hedging plants. The largest group of coniferous hedging plants – cypress, cedar and redwood – have soft, flat scaled leaves rather than needles and do not sting whatsoever. This contributes to the friendly charisma of conifer hedges. Conifers have truly become a phenomenon in contemporary gardens. Contrary to what some people think, there is no such thing as “the” conifer. There are over 600 different species, a few of which are very suitable hedging plants. Typical hedging plants include the common yew (taxus baccata), the Leyland cypress (cupressocyparis leylandii), Lawson’s cypress (chamaecyparis lawsonia) and the thuja varieties (thuja plicata and thuja occidentalis), with the white cedar 'Brabant' as one of of the most popular thuja cultivars. Even inexperienced gardeners will be familiar with these hedging varieties. All of these species are evergreen and will keep your garden green and full of colour throughout the entire year. The dawn redwood (metasequoia glyptostroboides), however, is deciduous. Nonetheless, this species should not be overlooked, as it is also an excellent plant for hedging purposes. The name conifer is derived from Latin and literally means “conebearer”. This refers to the cones by which most conifers can be recognized. Conifers are among the hardiest hedging plants available. While most species of conifer are native to North America or East Asia, where you will often see large conifer forests, the species we describe here will certainly do well on European soil if maintained properly. Conifers are not only popular as hedge plants; their resin and wood are sought after as well. In fact, softwood derived from conifers is of significant economic importance, as it provides almost half of the worlds annual lumber production and its chemically treated wood pulp is often used to produce paper and plastic. The long lifespan of conifers may also be an important reason why conifer species are so sought after for hedging purposes. In fact, the thickest and oldest living trees on the planet are all conifers. A pine tree has been found in the White Mountains in California, which was estimated to be at least over 4,500 years old. Some estimates say that it is even more than 5,000 years old. And though those lifespans are exceptional, they do prove that under the right circumstances, a conifer hedge might just remain loyal to you for a lifetime. 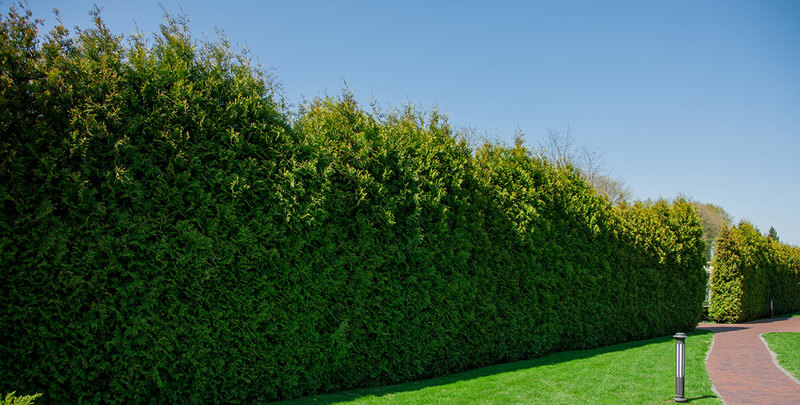 If you give a conifer the small amount of attention that it requires, you will be rewarded with a beautiful screening hedge that will guarantee your privacy for a long time to come. 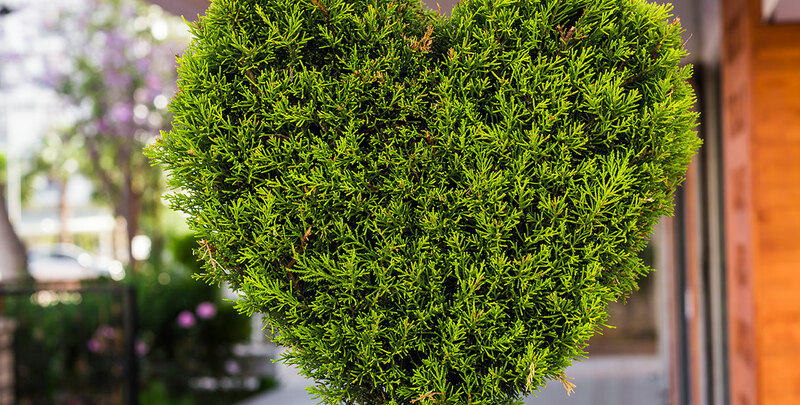 If frequent maintenance is not your cup of tea, conifer hedges are probably not the right choice for you. Annual pruning of conifer hedges is absolutely necessary if you desire a neat, dense, well-shaped hedge. The best time to do so is around the beginning of August, as close to the second growth period as possible. Some varieties benefit from pruning twice a year. If you have one of those varieties in your garden, we suggest pruning them shortly after the first growth period in June and then again around the beginning of August. Luckily, pruning a conifer is not particularly difficult. It just takes a little time. Conifer hedges normally do not require fertilizer. As a general rule, evergreen hedging plants rarely do, contrary to most deciduous hedging plants. 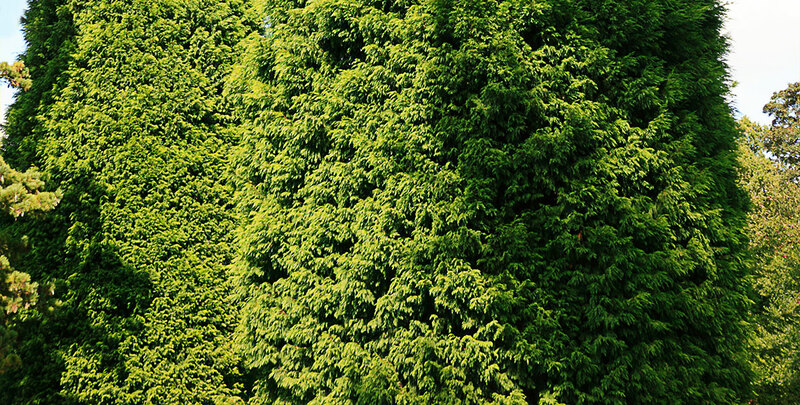 Choosing the right conifer is not a particularly difficult task. Every type of hedging conifer has its particular traits that make it more or less preferable for your purposes. The Leyland cypress, for instance, is popular due to its exceptional growth rate. Cedars, or thuja, are inexpensive, fairly easy to maintain and create a dense hedge, while Lawson’s cypresses are especially appreciated for their attractive colours and their tolerance of dry soils. 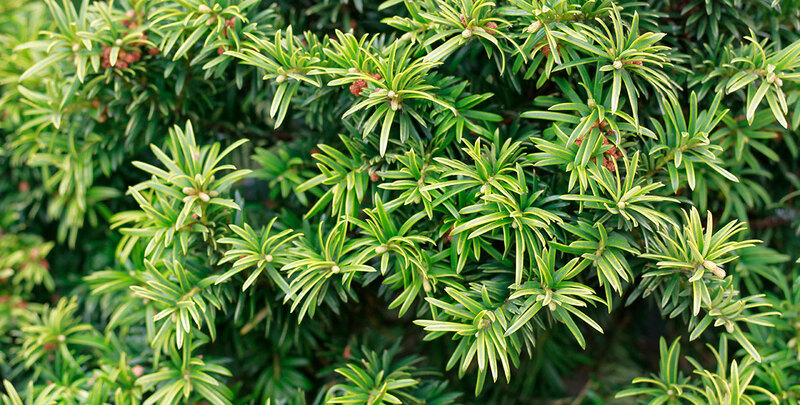 The yew is a native conifer, unlike many other species. It is also very tolerant of pruning, easy to maintain and extremely durable. The dawn redwood lends itself to wet soils, whereas other conifers are not tolerant of extremely moist soils. Save for the Lawson’s cypress, conifers do not thrive on dry soil. Green, blue or yellow: we will certainly be able to provide you with a colourful conifer hedge that will fit your garden.. Most of these conifer species are evergreens and will therefore grant your garden all the beauty and privacy it needs during the entire year, but even the deciduous dawn redwood is a gorgeous hedge plant that will make your garden look a little more elegant. From such a native classic as taxus baccata to relative newcomers such as thuja occidentalis 'Brabant', conifer hedges offer great variety. The wide range of conifer hedges on the market certainly gives you plenty of choice. All of which will provide you with a hedge that can grow yourself in a relatively short time. However, if you don’t have enough time to wait until your hedge is fully grown, instant hedges are available that are delivered ready to plant and will provide you with the screening and privacy you desire immediately.